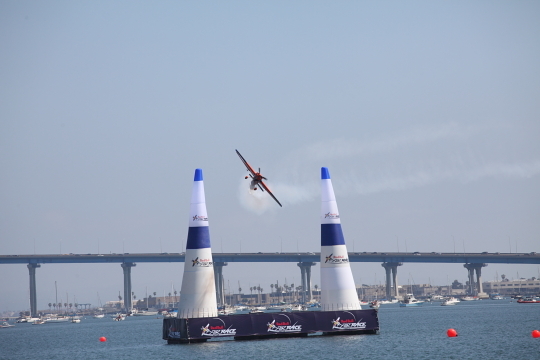 This past Sunday we went to the Red Bull Air Race down in beautiful San Diego. This is the second year we attended this event and it never disappoints. The event takes place on the San Diego Bay right in the heart of Downtown San Diego. During last years event we bought tickets to the North Embarcadero part of the bay, this year we decided to go to the South Embarcadero. We got there early so we could secure a spot in the front. This event gets very crowded so going early is a must to get a good spot especially on finals day. Unlike last year, there was not a big Navy demonstration. 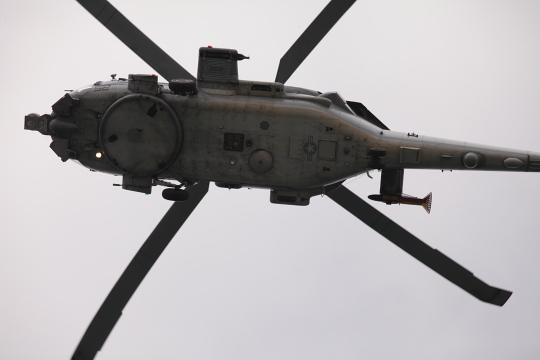 We did get to see a flyover by an F18, a lifeguard demo and also an old war plane, and of course we got a nice shower from the hovering Seahawk helicopters. This year I brought a hat with a tassel to secure it on my head. Last year I nearly lost my hat when the Seahawks blew it off when they hovered above us. 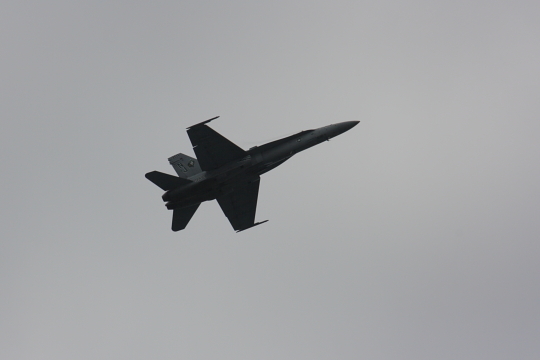 I’m not sure why the Navy chose to scale back their performances and flybys but it might have had something to do with the fact that it was cloudy for most of the morning. The sun did come out by the afternoon, unfortunately because of the earlier clouds we didn’t apply our sunscreen as well as we should have so we came home with some nasty sunburns. 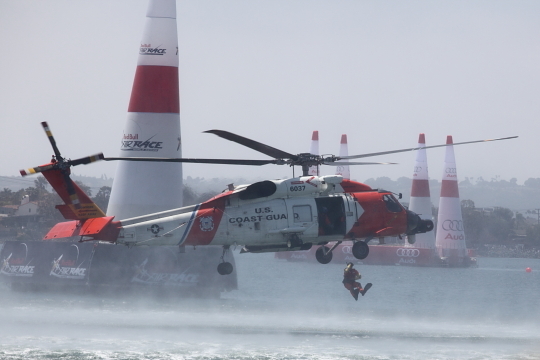 Another great demo that returned from last year was the Red Bull helicopter. 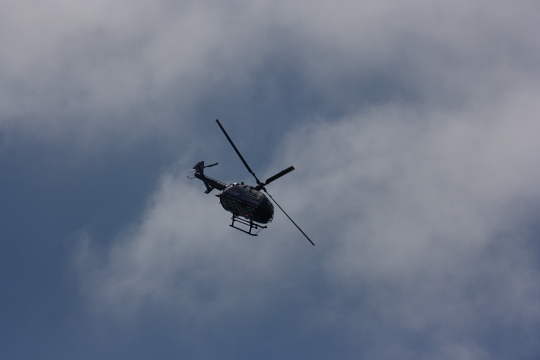 This helicopter can do barrel rolls and loopty loops. I’m not sure how it does this but it is quite a show stopper. This year we brought our Mark II to the event and not only did I take pictures with it but we also shot lots of video. So for the very first time on our blog I will be posting a few videos along with our photos. Below I have posted videos of the F18 high alpha flyover, the Red Bull helicopter demo and Nicolas Ivanoff’s winning run on the course. 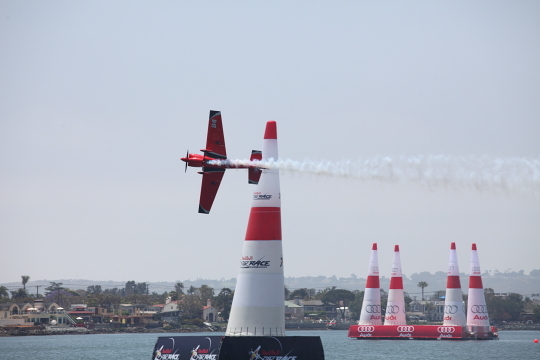 The races were very exciting, they started out by having a match up between five wild card competitors that didn’t qualify the day before but still had good times. They added the top two winners of that competition to the field of ten competitors that qualified the previous day. After a few rounds the twelve pilots got narrowed down to eight and then to four. They included Peter Besenyei of Hungary, Hannes Arch of Austria, Paul Bonhomme of Great Britain and Nicolas Ivanoff of France. All of these pilots are extraordinary but it was Ivanoff who eventually came out on top with a time of 1:17.21 which is a record for that course. One interesting thing that happened during the final four match up was Hannes Arch suffering a bird strike halfway threw the race. 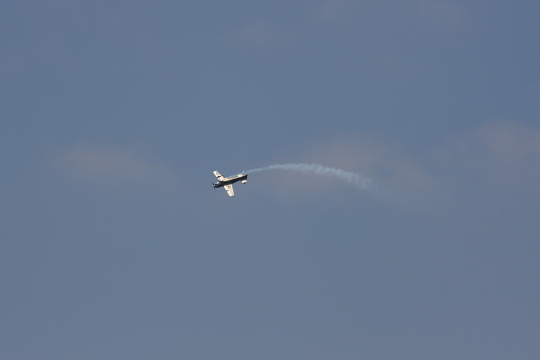 Luckily he was able to finish the race, although he did come in third, and fly back to the air strip despite the bird ripping a hole on the back of his plane. Watching this event is always exciting, I can’t wait for next year. Check out a few photos and videos from the event below. For more photos check out our GALLERY.